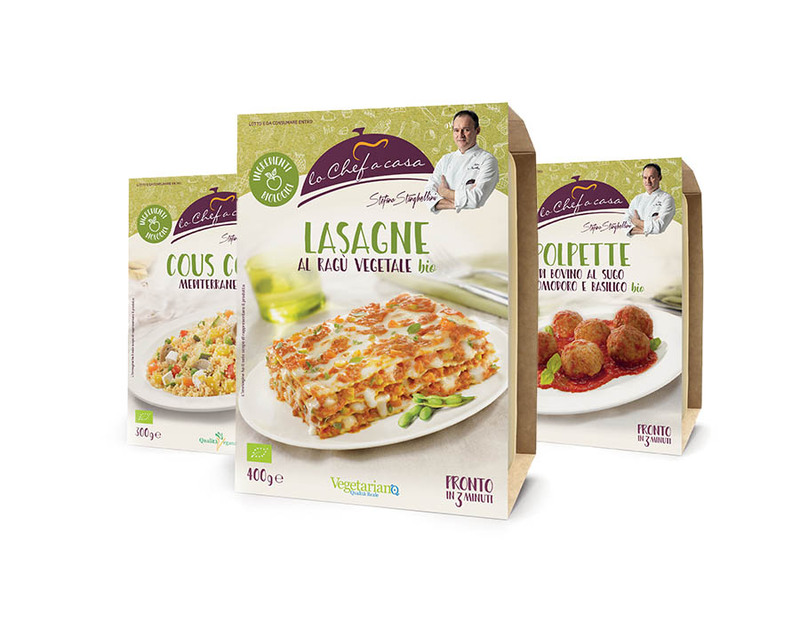 Eurochef ready meals are the perfect combination of fresh ingredients, refined processing, genuine tastes, history and culinary tradition. Ready in just a few minutes, they are perfect for lunch breaks in bars and restaurants, as well as for being eaten at home. We follow simple recipes, so to prepare meals with that unique and unmistakable flavor. 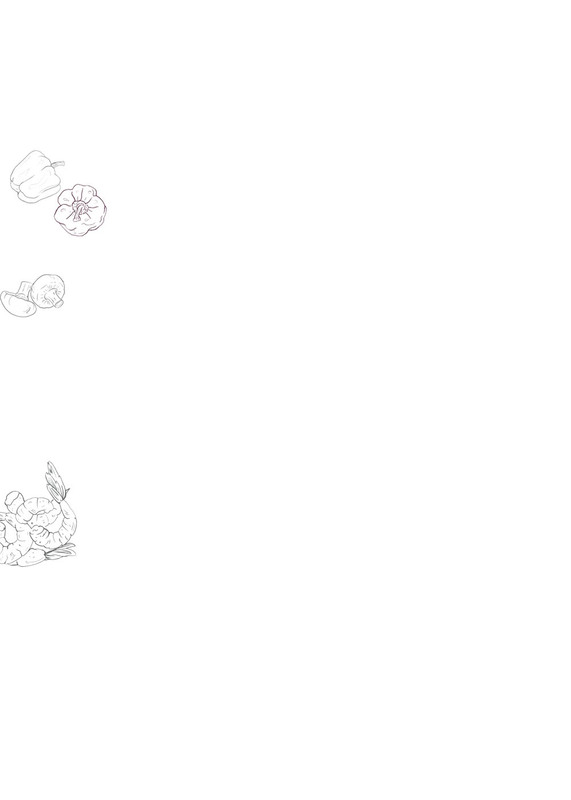 Everything starts from the research of raw materials, which must be good, inviting, of the highest quality. Our chefs combine the ingredients following both the heart and traditions, because it is only with passion and memories that meals with an unforgettable taste are prepared. Lo Chef a casa is a line of first and second courses made for all those who, while having very little time to stay in the kitchen, want to taste the traditional italian dishes, as good as those cooked at home. These authentic, inviting and tasty dishes are available in all the best shops in practical singe doses branded Lo Chef a casa. 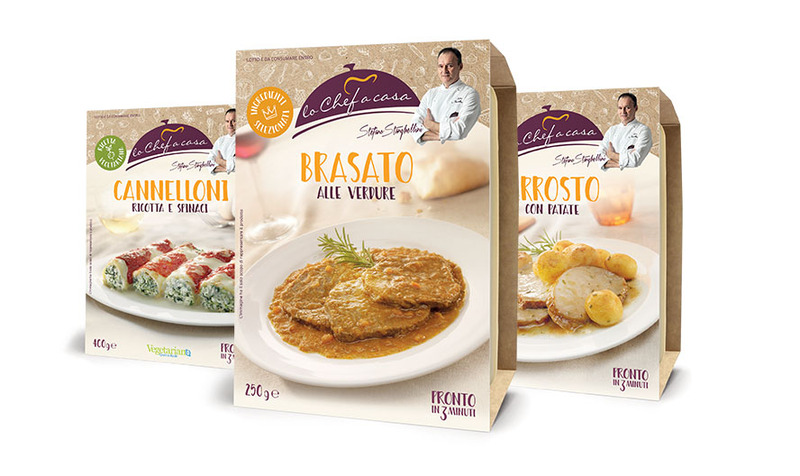 For the supermarkets deli counter, Eurochef ready meals are available in larger packaging sizes. 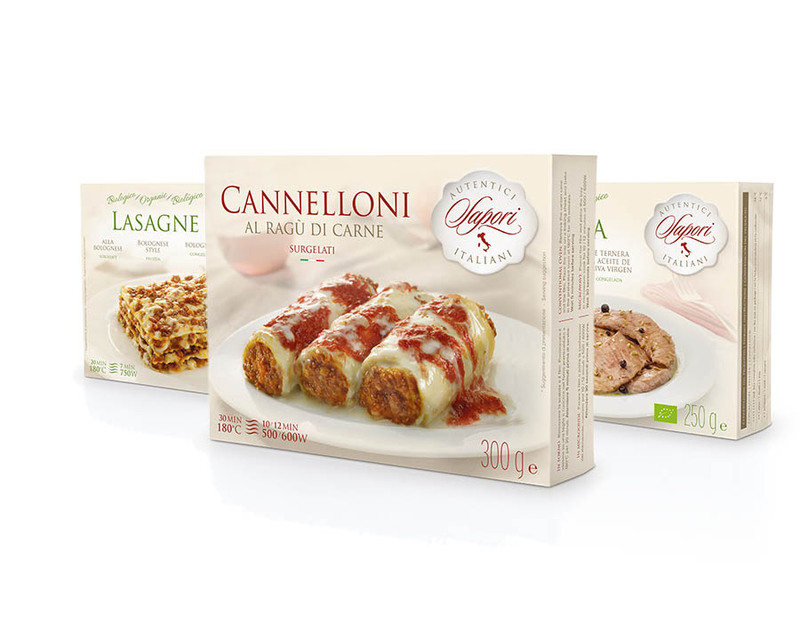 Eurochef frozen ready meals offer good, tasty dishes for your everyday table. We choose the simple recipes of the tradition, those with few ingredients that everyone would cook for themselves, and we prepare them with care and passion. 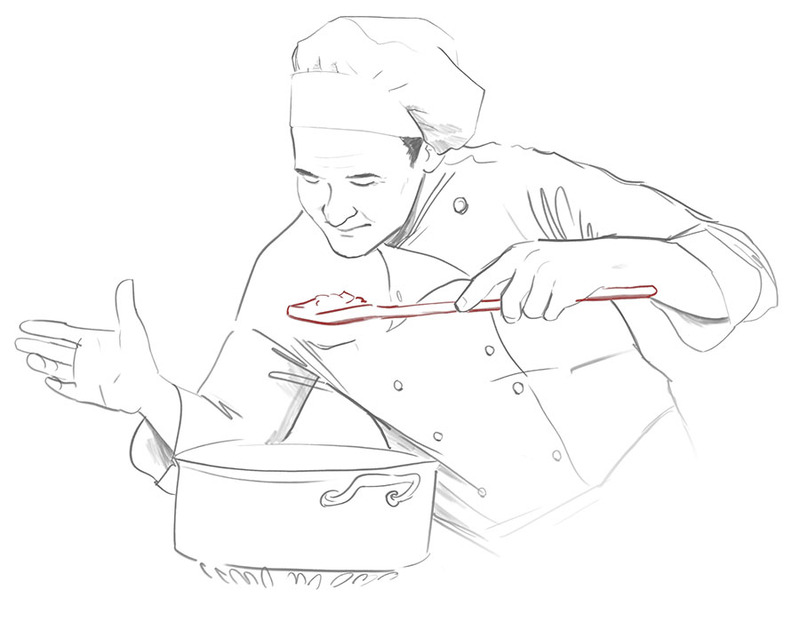 We freeze our dishes with a safe heat treatment, so that cold keeps the properties of the ingredients unaltered. As if they were freshly prepared dishes. 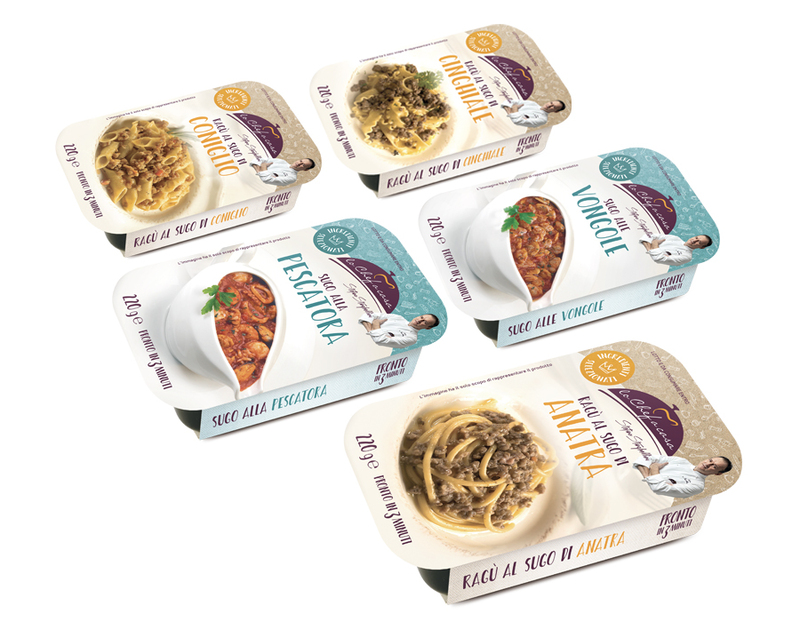 Our organic ready meals come directly from our passion for nature. Simple and tasty recipes, made only with organic ingredients coming from certified organic farms, where the environment is taken at heart. Perfect ready meals to rediscover a healthy way of eating. Take away ready meals are all about freshness and simplicity: they tell a different story at every bite. Traditional first courses, main courses and side dishes with authentic flavours, cooked with that little something extra that makes them become unique. 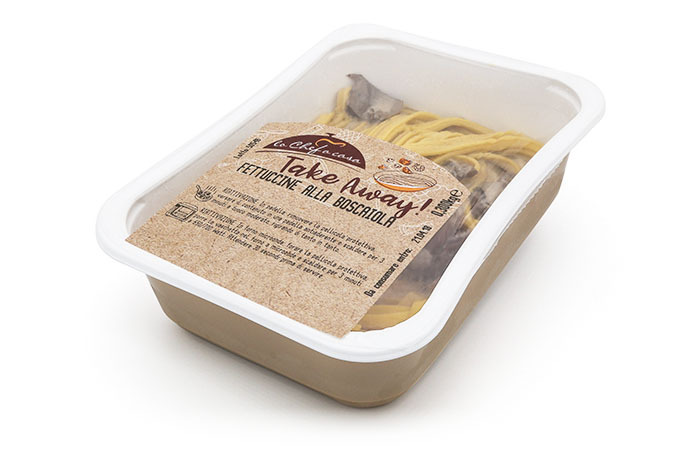 Take away ready meals can be found in supermarkets and grocery stores in practical single-layer trays covered with transparent film. Our ready sauces are a declaration of love to Italian cuisine: condiments of character, made to enhance the porosity of pasta and turn every first dish into a real specialty. Slow cooking and familiar tastes are our passion. Each sauce we prepare makes us rediscover the goodness of everyday recipes and bring exquisite dishes to the table.